Belt alignment switches monitor the straight running of conveyor belts. 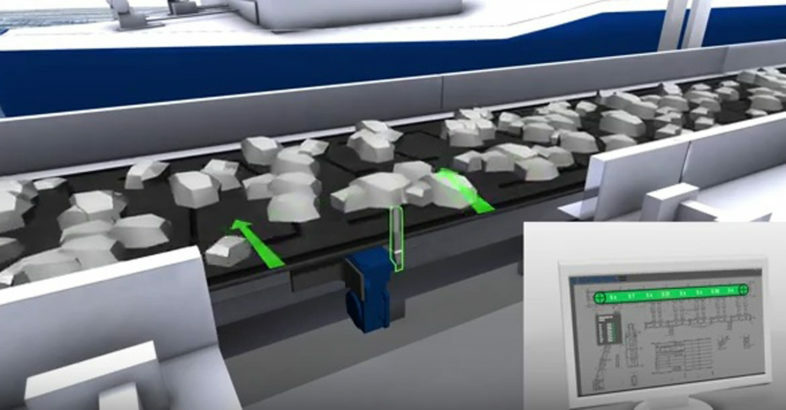 If the conveyor belt runs off-centre on the conveyor rollers, the switchgear is activated. Through the contact staggering or as of a belt misalignment of 15° for instance, a warning is generated through an auxiliary contact. The conveyor belt is then shutdown by the main contact as of a misalignment of 25° for instance. Special staggered contacts are available upon request. In addition to multiple versions of belt alignment switches, Schmersal offers a comprehensive program of rollers with different lengths, diameters and materials. With industry expertise and professional services it also offers system solutions for automation and safety of machines and equipment. More than 1,750 employees in more than 20 countries work every day to meet jointly with the customers to ensure pioneering safety technology solutions.